Family of Victorian teen ordered to change her grave. The family of an Australian teenager have been ordered to 'tone down' her unique grave. Kirra Sim’s favourite colour was purple. The 19-year-old, from Bendigo in Victoria, died in a car accident on Fathers’ Day, 2012. Her devastated family visit her gravesite regularly. They have decorated her grave with personal items, installed a seat nearby and painted the concrete around the plaque purple. Now they’re being told they have to make changes to Kirra’s grave within the next three weeks. Apparently, the colour purple doesn’t meet with the cemetery’s guidelines. The deadline the family has been given is June 9, the date that would have been Kirra’s 24th birthday. Kirra’s brother Trent Sim has started a petition to keep the grave as it is. Sim says the family received a letter from Remembrance Parks – Central Victoria stating they’d received several “complaints”. He says the family was told there were issues with the colour of the seat and the concrete, as well as the number of decorative items near the plaque. “If we are made to remove these personal touches that mean so much to us it will destroy Mum, in a way that only a parent who has lost a child could know,” Sim adds. 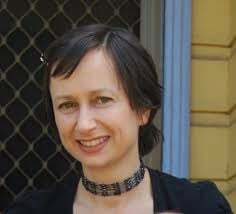 The chief executive of Remembrance Parks – Central Victoria, Graham Fountain, told the Bendigo Advertiser that the only issue with Kirra’s grave was the concrete. He said they couldn’t let every family paint the concrete a different colour. In just six days, Sim’s petition already has already gathered more than 1900 signatures. People who don’t even know the family have expressed their support. Yet another said she walked past the cemetery most days.